Captain Alexander Lynam de Courcy Stretton MC (South Lancashire Regiment attached Nigeria Regiment) is killed in East Africa. He is the third of four brothers who are killed in the Great War. Captain Arthur Gerald Brian (Duke of Cornwall’s Light Infantry) dies of wounds at age 22. His brother was killed in May 1915. Lieutenant Harry James Graham Stirling Miller-Stirling (Nigeria Regiment West Africa Frontier Force) is killed in East Africa at age 31. His brother was killed seven months ago. Lieutenant Armar Somerset Butler (South Lancashire Regiment attached Royal Flying Corps) is killed in Greece at age 24. He is the son of the Reverend Pierce Butler Vicar of Winterslow and nephew of Major James Arman Butler known as the Hero of Silistria. His brother was killed in the sinking of HMS Hampshire and they are grandsons of the late General the Honorable H E Butler who fought in the Peninsular War. Lieutenant Percy Weyman (Lancashire Fusiliers) dies of wounds in Palestine at age 23. His brother was accidentally killed in August 1916. Sergeant Albert Gage (Royal Field Artillery) is killed in action. His brother was killed on the first day of the Battle of the Somme. Lance Corporal David Hill (Scots Guards) dies of wounds received in action at age 19. His brother will be killed in six weeks. Private John Gillard (Devonshire Regiment) is killed at age 37. His brother was killed in December 1915. Gunner T Bert Harding (Royal Garrison Artillery) is killed at age 31. He is the Orchestra Director for the Alexandra Widnes Lancashire. Private Benjamin Badger (South Staffordshire Regiment) is killed in action. His brother will be killed next May. Private Ernest Boyd Barrett (Royal Army Medical Corps) is killed at age 28. 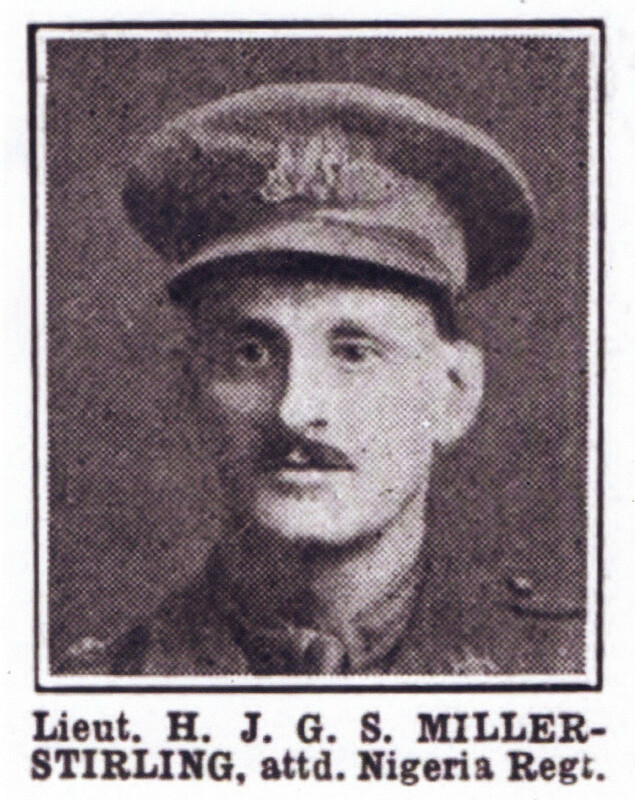 His brother was killed in October 1914.